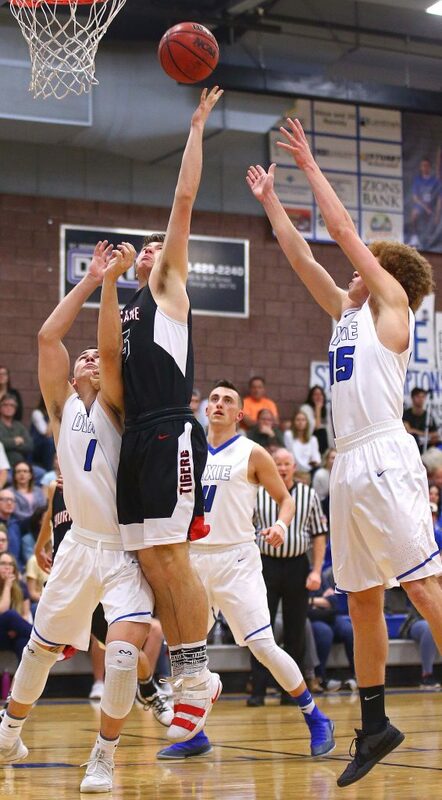 ST. GEORGE – All three Region 9 games were here in St. George Wednesday night, and all three home teams won. 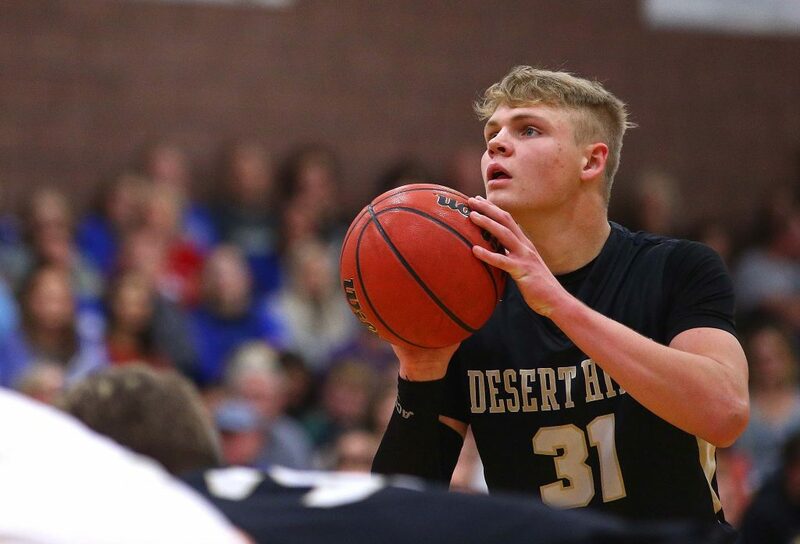 For Dixie and Desert Hills, the top two teams in the region, winning at home has become a habit and was expected. But Snow Canyon’s home victory over Canyon View continues the remarkable second half of the region season for the Warriors. It’s becoming a regular thing for the Flyers. 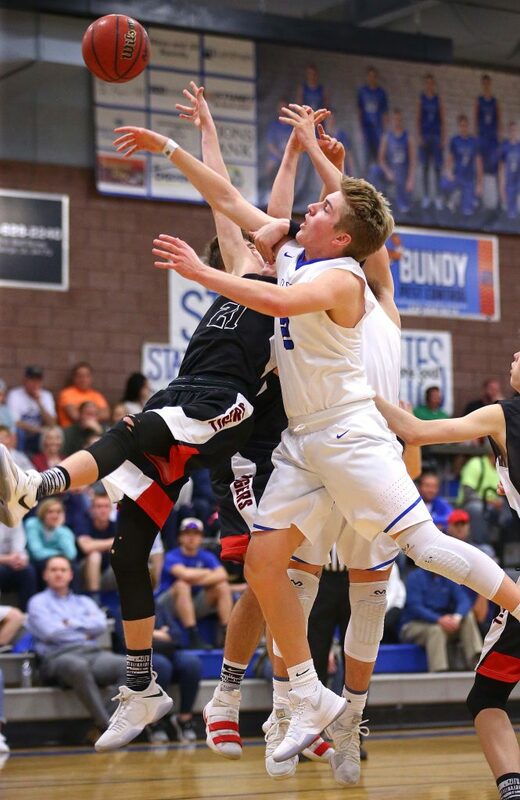 In each of their wins in the last couple of weeks, Dixie has shut down an opponent for a stretch of time, with the defensive smothering eventually leading to a Flyer victory. Against the Tigers, it was the third quarter. 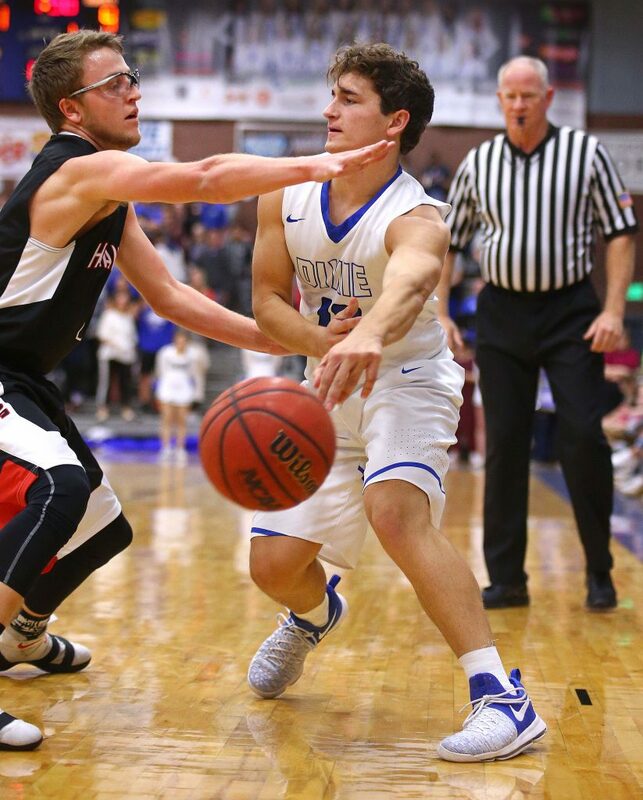 It was a close contest at halftime, with Dixie holding the slimmest lead of 26-25. But the Tigers couldn’t buy a bucket in the third quarter. 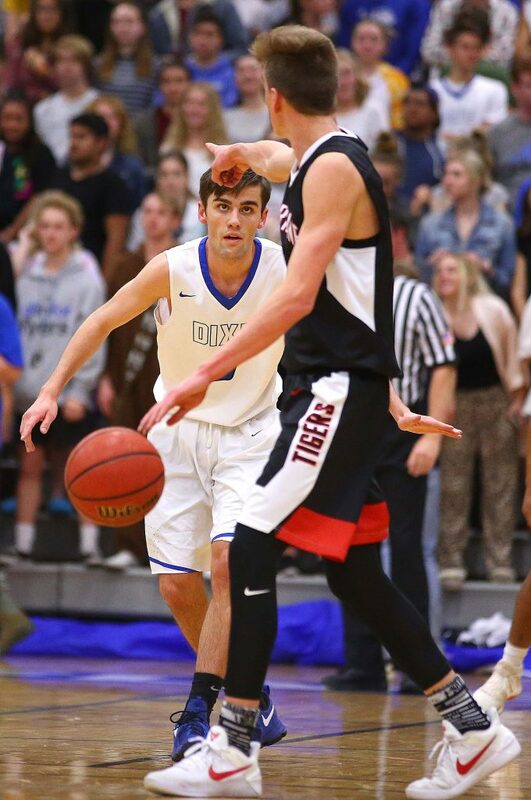 A couple of free throws by Carson Bottema started the Flyers on a 10-0 run that lasted more than seven minutes – a run eerily similar to the one Dixie had last Friday in its win over Canyon View in which the Falcons went 7:10 without scoring and watched as Dixie went on a 9-0 run to win the game in the fourth quarter. Hurricane missed five shots and turned the ball over four times in the fourth quarter during that 7:25 stretch of futility. Adam Heyrend finally ended the frustration with two free throws, but by that time it was 36-27. Tanner Cuff closed the third with a bucket off a Payton Wilgar assist to make it 38-27 heading to the fourth. Hurricane finally got its offense untracked in the fourth quarter, scoring 21 points in the frame, but it was an exercise in futility as the Flyers matched the Tigers nearly basket for basket. The lead grew to as many as 14 and never shrank below eight the rest of the game. 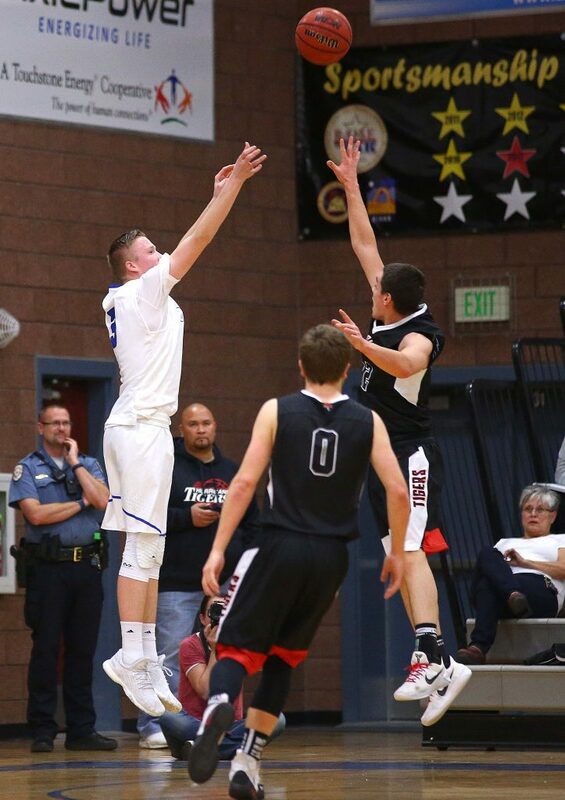 Tanner Cuff ended up with one of his best games at the varsity level. The coach’s son scored 27 points, including a pair of 3-pointers. 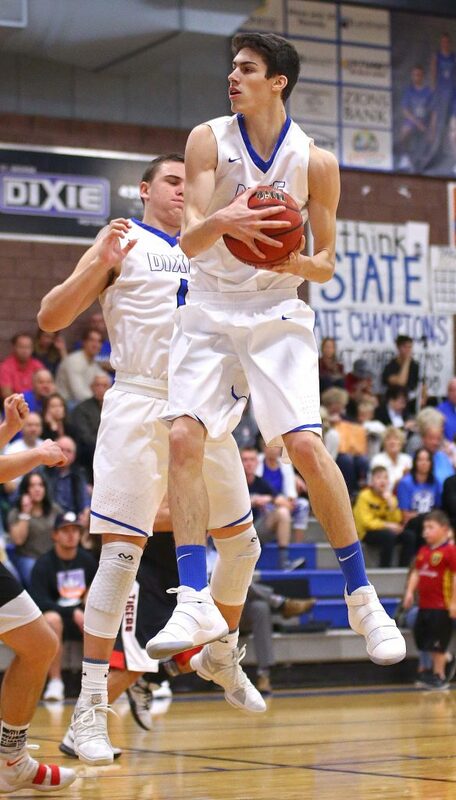 Bottema was also sharp, scoring 22 points, as Dixie made 18 of 36 field goals and 21 of 29 free throws (72 percent). 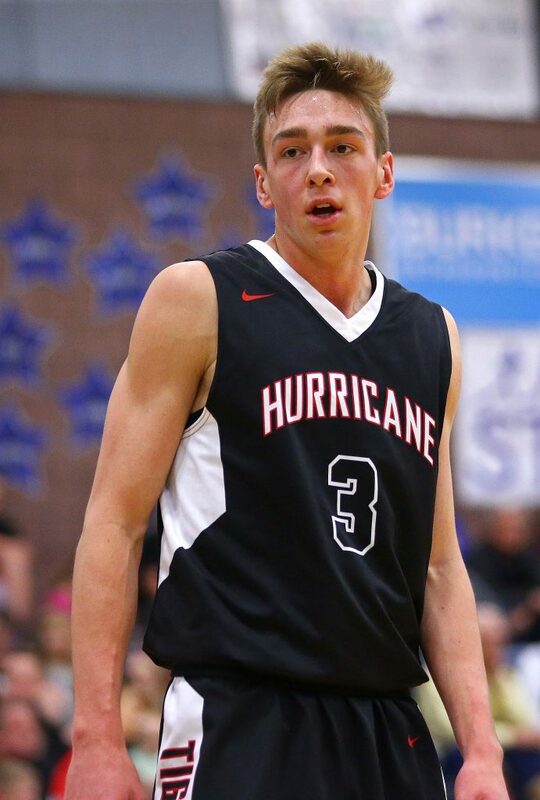 Hurricane made just 14 of 41 shots in the game (34 percent), including just 4 of 18 on 3-pointers (22 percent). Jackson Last had an impressive line with 18 points, 10 rebounds, four steals and three assists. Heyrend chipped in 13 points and four assists. 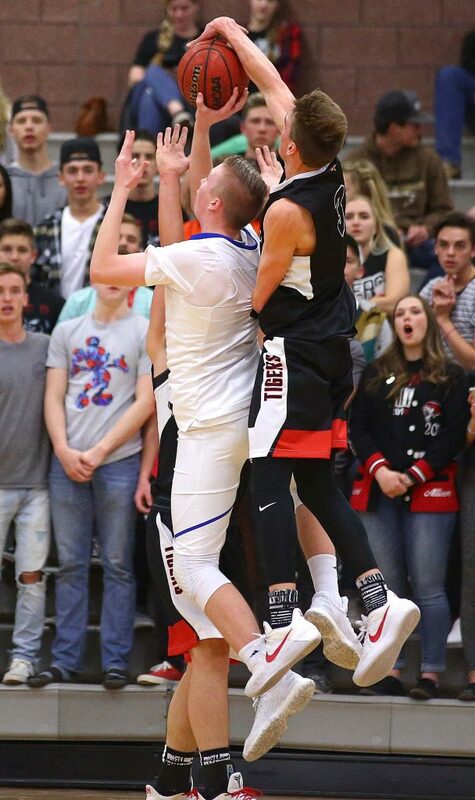 The Tigers were playing without injured Reagan Marshall. 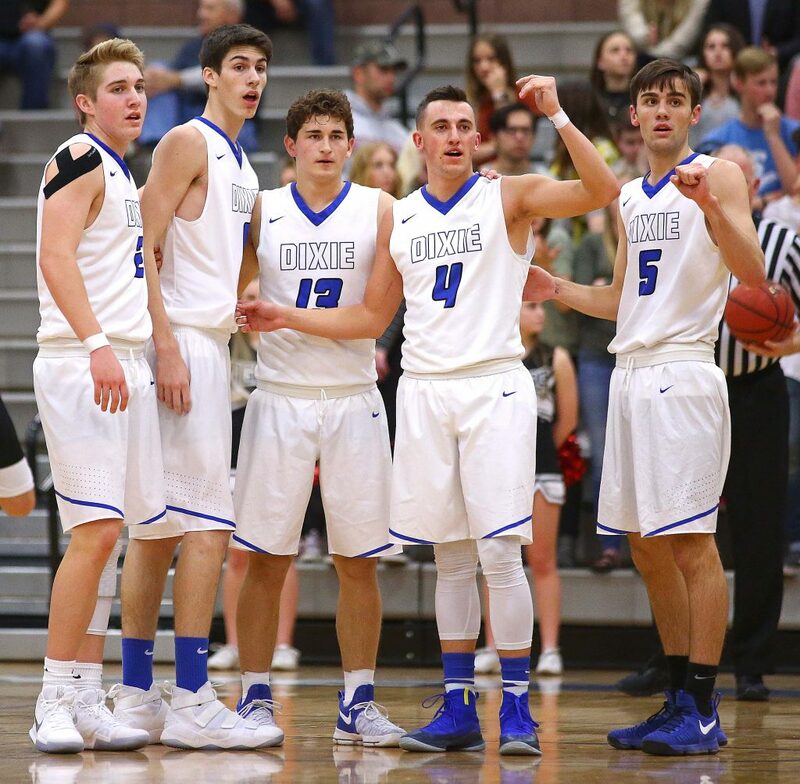 For Dixie, the victory clinches a playoff spot and a first-round home playoff game. 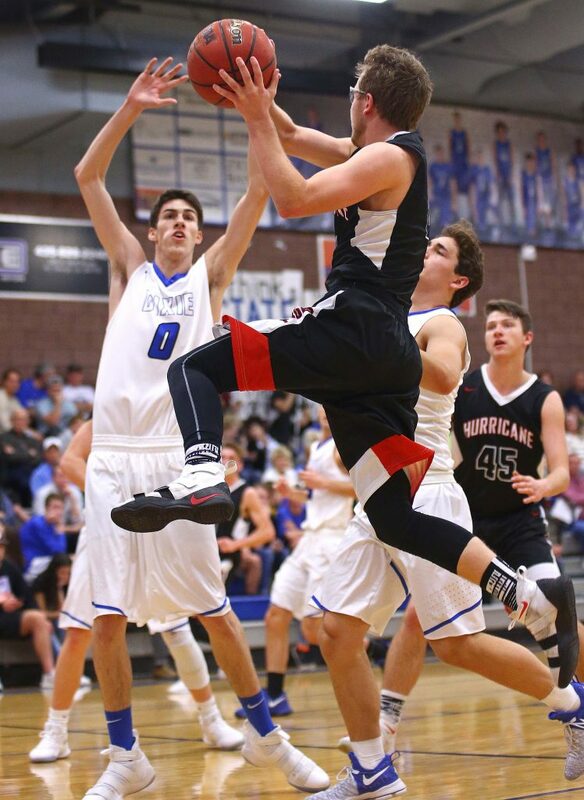 At 9-0 in region (17-3 overall), the Flyers have a two-game lead on second-place Desert Hills. The two teams meet next week. 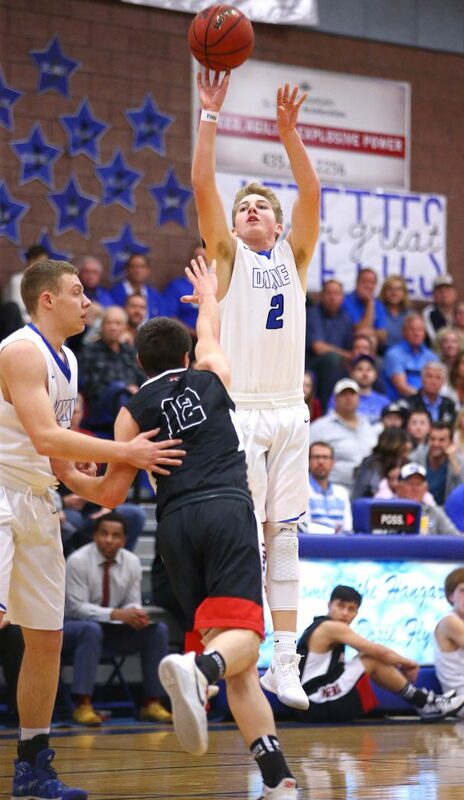 Dixie travels to surging Snow Canyon on Friday. 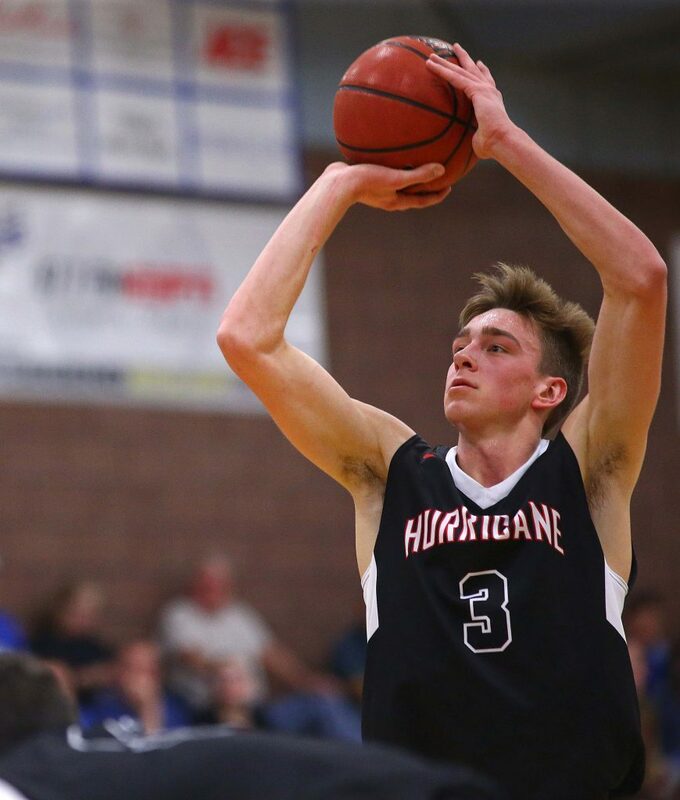 Hurricane still owns third place in region at 5-4 (11-8 overall), but will likely need to win out to get a home playoff game as the Tigers trail second-place Desert Hills by two games. 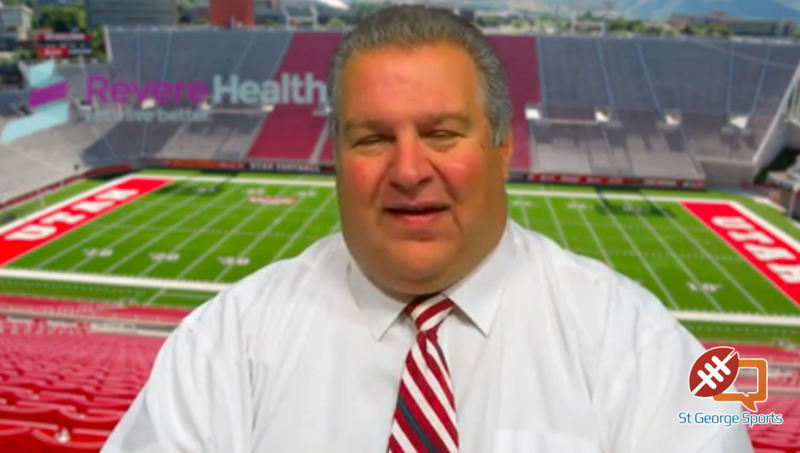 Those two teams meet at Hurricane Friday night. 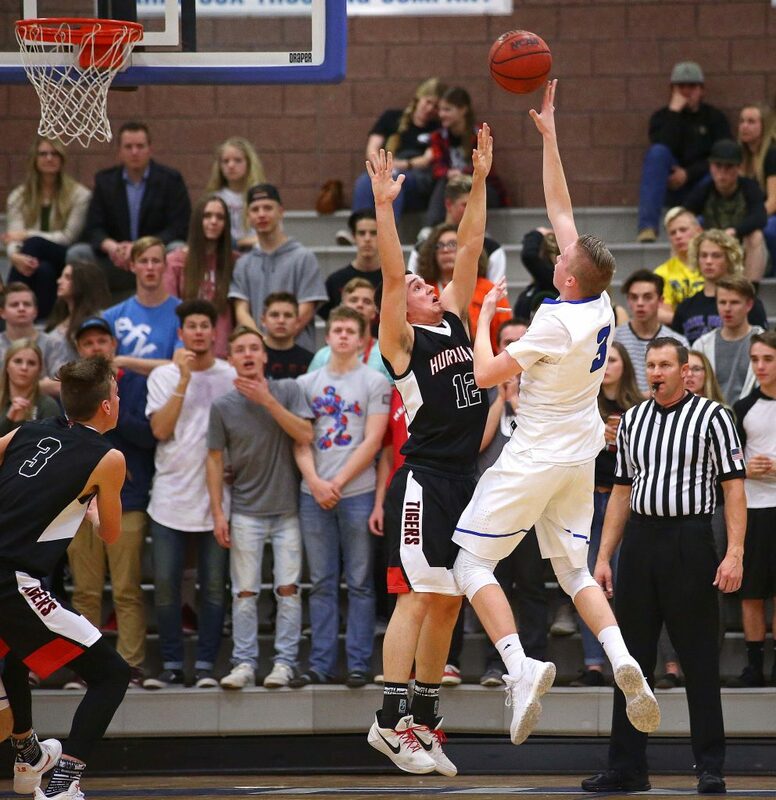 Trying to keep pace with first-place Dixie, the Thunder can ill-afford to make any mistakes against lower-tier teams and Tucker Peterson and Ryan Marz made sure that didn’t happen at home. Peterson scored 21 points and had nine rebounds and Marz dominated the paint with 17 points on 8 of 12 shooting as D-Hills pulled away for the blowout win. Peterson made three 3-pointers in the first half and had 13 points by intermission as the Thunder led 36-25 at the break. Peterson’s jumper with two seconds to go in the half gave Desert Hills that double-digit lead at the break. Ryan Marz took over in the third quarter, scoring 11 points and going nearly unchecked by the undersized Panthers. 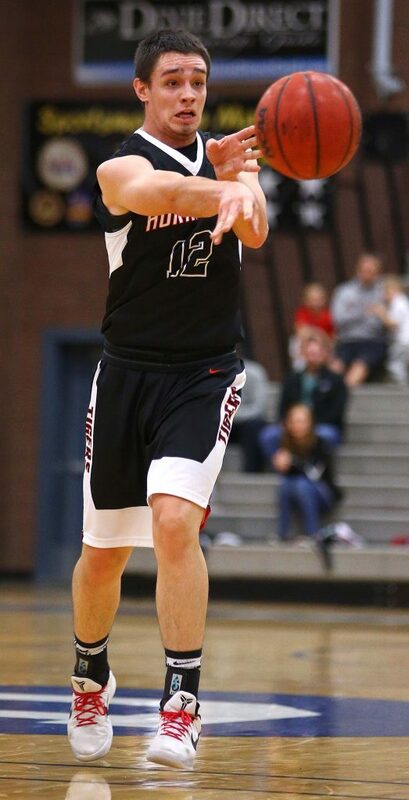 He also blocked a couple of shots and physically dominated Pine View. 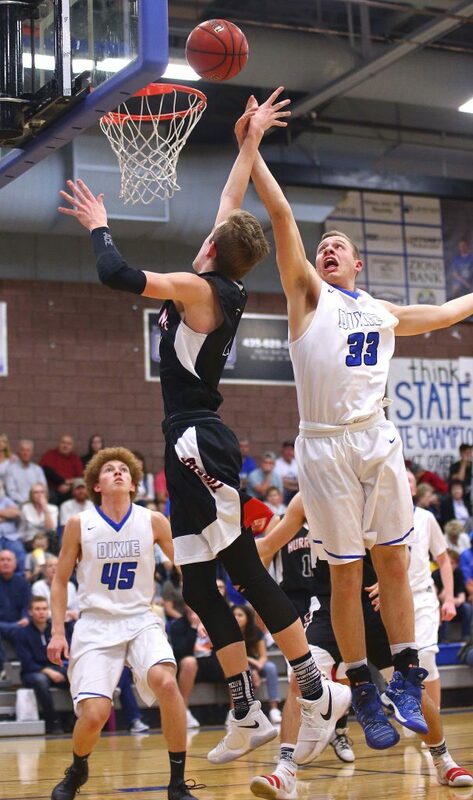 Those two players, Peterson and Marz, had more rebounds between them (18) than Pine View’s entire team (15). Tyler Webber also had a major contribution for Desert Hills. The senior guard had nine points in the fourth quarter, including a breakaway dunk. He finished the night with 16 points. 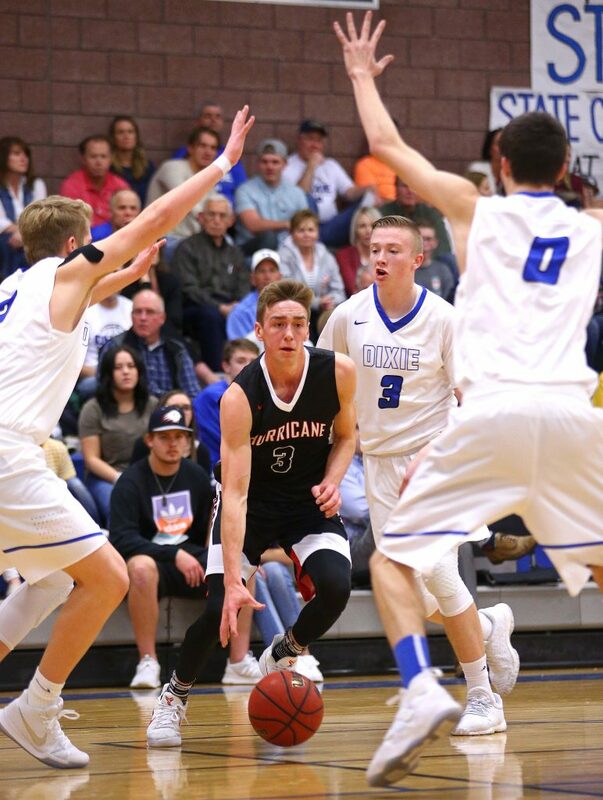 Behind Jack O’Donnell (13 points, three assists, two steals), Pine View made a run in the third quarter and was able to pull within 42-37 after a trey by Hunter Moore and a free throw by Connor Brooksby. But a corner trey by Tyler Marz and a basket inside by Ryan Marz quickly pushed the lead back out to 10 at 47-37. Another trey by Moore made it 47-40 with under two minutes to go in the third, but Ryan Marz scored five straight to close the third and make it 52-40 entering the fourth quarter. 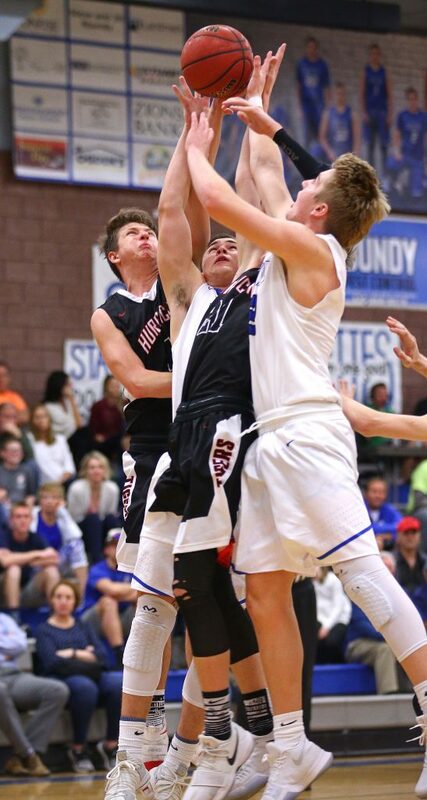 Pine View would get no closer than 10 the rest of the game. At 7-2 in region play (14-5 overall), the Thunder trail Dixie by two games with three remaining. One of those games is at home against the Flyers (next Wednesday). 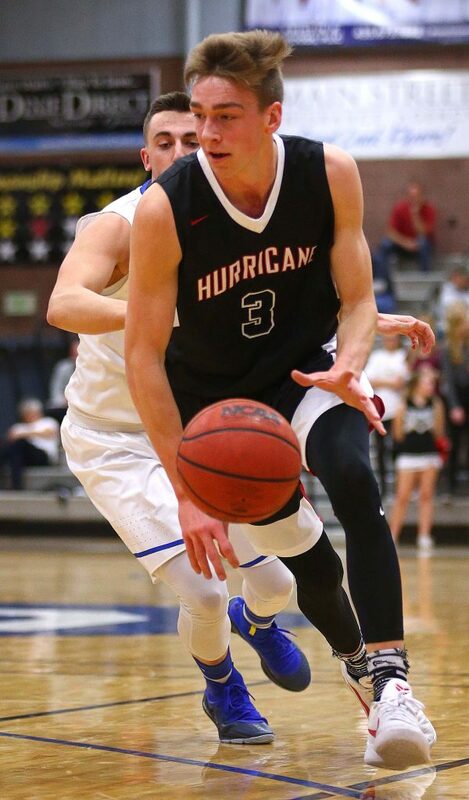 Desert Hills has a tough road game first, with a trip to Hurricane on Friday night. 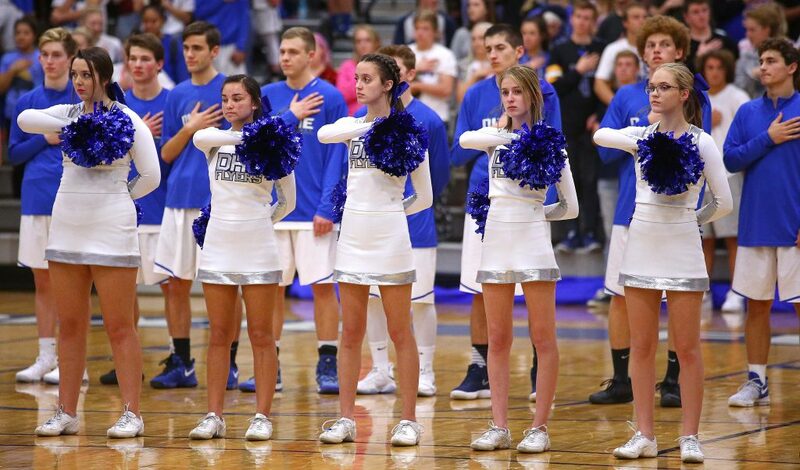 Pine View, which got 13 from O’Donnell and 10 from Moore, gave up too many easy shots to D-Hills. The Panthers shot a decent percentage at 43 percent for the game (18 for 42), but allowed the Thunder to make 63 percent of their shots (27 for 43). D-Hills also made 6 of 13 3-pointers. DH outrebounded PV 29-15. The Panthers, who saw limited action from star guard Tayler Tobler (knees), were outscored in every quarter of the game. 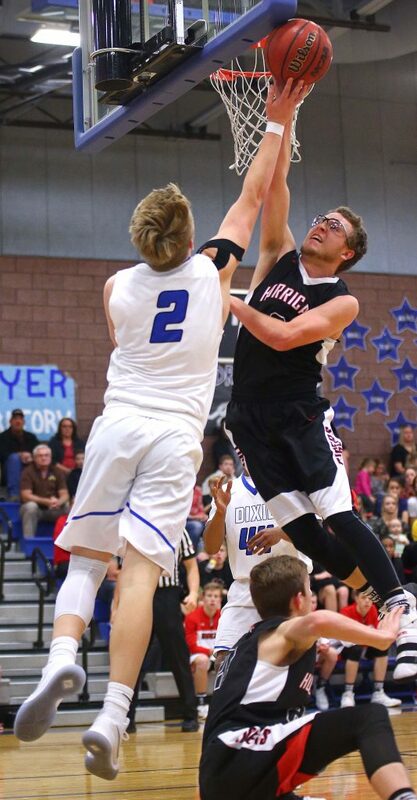 Pine View will try to bounce back from its fifth straight loss with a home game against Cedar on Friday. The Warriors were backed into a corner. And with their playoff lives on the line, they responded. 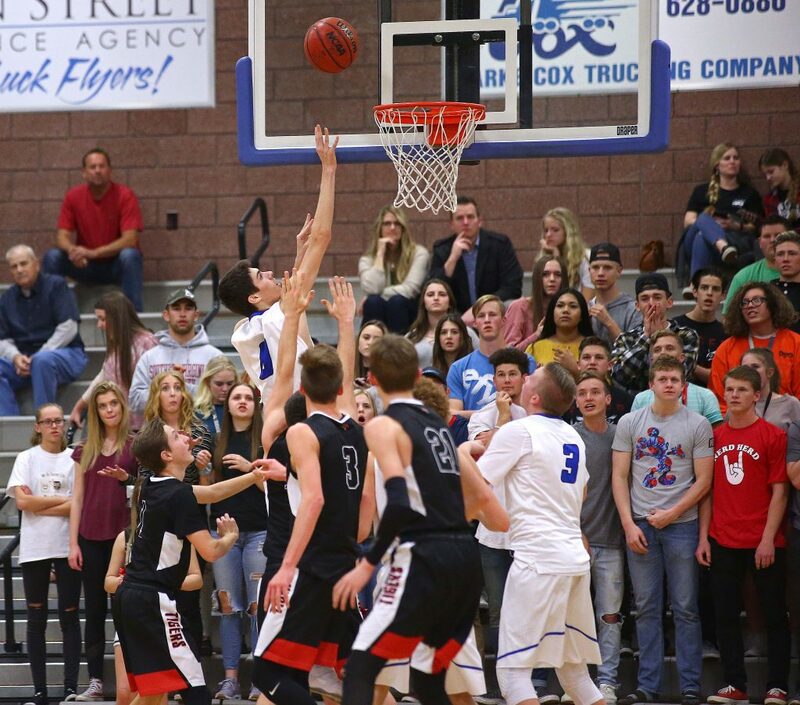 With a 1-5 record through the first half of region play, Snow Canyon needed to get hot in the second half. And it did. SC has won three out of the last four games and has pulled itself within a game of the Falcons and a game-and-a-half of the Hurricane Tigers. Braden Baker and Joey Robertson led the way in the win for Snow Canyon, which never trailed in the game. Baker had 26 points and did it in a variety of ways, hitting 3-pointers, mid-range shots and driving layups. Robertson chipped in 14 points and Cole Warner had 12, plus made a block in the fourth quarter that helped save the game. Snow Canyon led by four at halftime (26-22) and bumped the lead to 34-28 after three quarters. Canyon View was able to get it to a single-possession game in the fourth, but never could overcome the Warriors. The Warriors (8-12 overall and 4-6 in region) and Falcons (10-12 and 5-5) each have a bye coming up and have just two region games left. 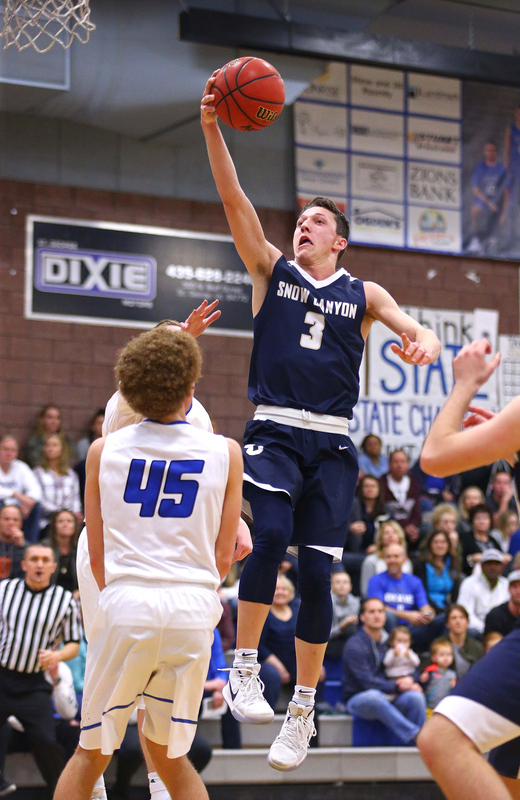 Snow Canyon plays host to Dixie Friday, then has a bye next Wednesday with the season finale Feb. 16 at Hurricane. Canyon View is on a bye Friday and finishes next week with a game at Pine View on Wednesday and a home against Desert Hills Feb. 16.